Let's start from the very beginning, let's take a promenade back in time! It's only possible on the top of the Buda Castle Hill. Stories, hidden secrets, and gossips from the Middle Ages and the past centuries awaiting us to be revealed, stepping over cobblestoned streets, passing by palaces, churches, colorful houses, and cosy courtyards. A real "behind the scenes" walk including all the secrets of our kings and queens, Dracula, and even Houdini. Itinerary: we’ll start our promenade at the Buda side of the 170-year-old Chain Bridge. We’ll walk through the Castle Garden Bazaar, believe us, it's the most elegant way to get to the top of the Castle hill. We'll show you the last remains of the medieval castle from the 13th century. We'll take a walk around the 18th century Baroque palace, so that we can share with you all its secrets. 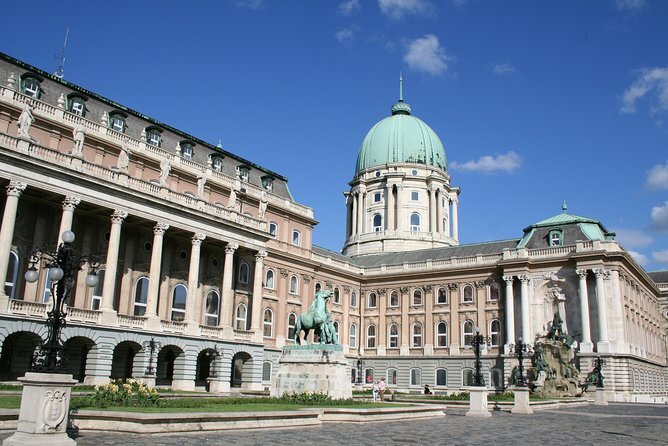 We’ll walk around the colorful buildings and cobblestoned streets of the Buda Castle district all the way to the truly amazing Matthias Church, and you'll definitely have a wow moment enjoying the view over the Pest side at the Fisherman's Bastion.